THANK you for a most interesting article on Drax Power station (RM August). I well remember it being built and, of course, the famous BBC Blue Peter programme with presenter John Noakes climbing to the top of what was then Britain’s largest chimney. In September 1995, Drax held an open weekend, and as part of that operated a steam shuttle around the unloading loop. 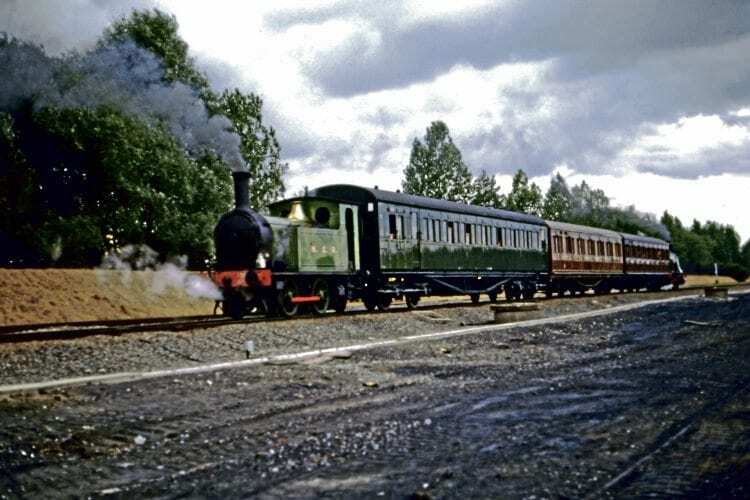 The train comprised the SECR Brake plus two Metropolitan Railway coaches from the Vintage Carriages Trust at Ingrow, top-and-tailed by NER 0-4-0T No. 1310 from the Middleton Railway and VCT’s own loco 0-6-0WT Bellerophon. The shuttle train proved immensely popular and was full throughout the day, and certainly looked somewhat incongruous among all the modern generating machinery. Sadly, no further steam shuttles have been run since, but it was good while it lasted! Perhaps it’s time for steam to make another appearance at Drax?